PRINCE "HARRY the HERO" Is Fighting in Afghanistan! (Video) ...Update: Harry Gets Yanked! 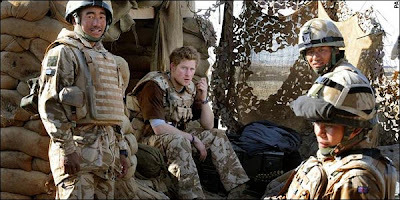 PRINCE "HARRY the HERO" Is Fighting in Afghanistan! (Video) …Update: Harry Gets Yanked! Harry has already been in Afghanistan fighting for 10 weeks. (So he may have 2-3 weeks left on his tour of duty? THE BRITISH MILITARY IS VERY UPSET THAT THE STORY WAS LEAKED! Nothing like putting a BIG TARGET on the young British Prince! British Royal Prince Harry has been fighting in Afghanistan since late December — and has been directly involved in gun battle, the DRUDGE REPORT has learned. Prince Harry is talking part in a new offensive against the Taliban. 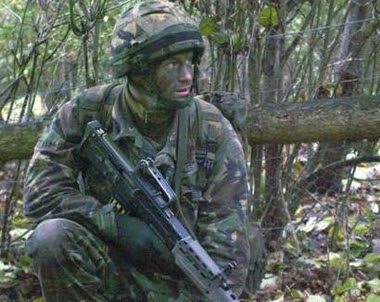 Prince Harry has been fighting the Taleban on the front line in Afghanistan, the Ministry of Defence has confirmed. 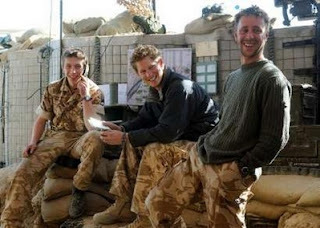 Harry, 23, who is third in line to the throne, has spent the last 10 weeks serving in Helmand Province. “I finally get the chance to do the soldiering that I want to do,” the prince said ahead of his deployment. The deployment was subject to a news blackout deal, but broke down when leaked on US website the Drudge Report. Chief of the General Staff Sir Richard Dannatt, who is head of the British Army, said he was disappointed the news had leaked. Here is “Harry the Hero” giving a shoutout to his men in Iraq at a concert for Diana last summer. ** The Times Online has more video of Prince Harry in Afghanistan. Al Qaeda Leaders Say They Will Target Prince Harry in Iraq! The British Ministry of Defence is reviewing whether Prince Harry should remain in Afghanistan. UPDATE 2: FOX News is reporting: After the news today Harry will get yanked from the battlefield.